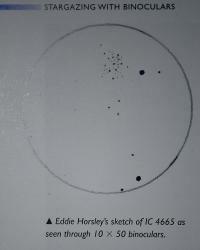 Publication:......Phillips Book (Stargazing with Binoculars) 2007. ......................Robin Scagell & David Frydman. 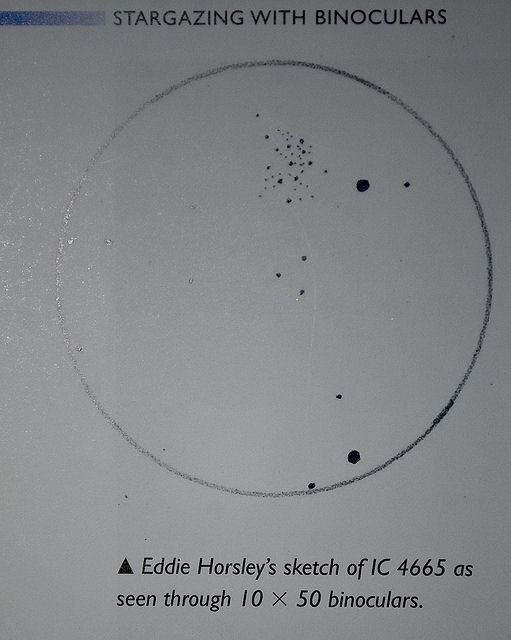 Object:............Sketch of IC4665 Open Cluster in Ophiuchus.